Our Medieval Buckle Belt is so good looking that our customers wear it with their everyday clothes! The belt is available two different ways. 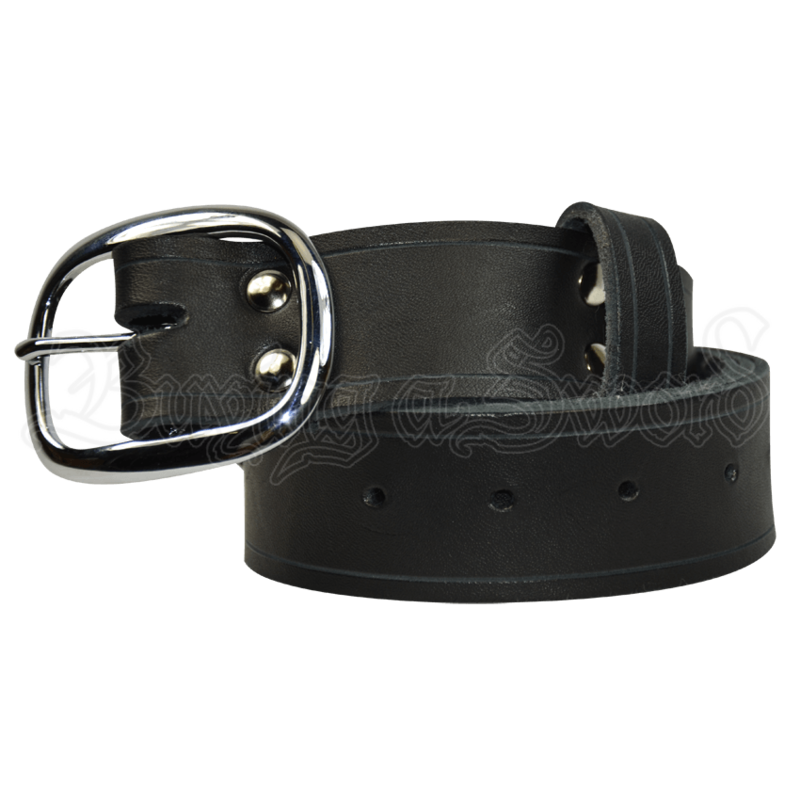 The first is our Regular Length, which is a normal buckle belt fitted to your waist size. The other is version is our Long Length, this is just like the regular length (fitted to your waist size). However it has an extra length of leather on the end of the belt. This gives the belt a great medieval look just like the ring belt but is a little bit sturdier due to the buckle. Both versions are made of 7/8 oz. sturdy belt leather. The belt is 1.5 inches wide. It is available in black and brown, and special color requests, such as red, green, blue and natural, are welcome as well. You also have your choice of silver (steel) or gold (brass) hardware. If you are looking for a simple, functional belt at an excellent price, this is it! Excellent! Works great. I just wish the brass matched the bag I purchased as well. Overall its worth it! I like my new belt. It was definitely more reasonably priced than the belts at Faire. I ordered a long belt, and should have thought that one through better. The extra length looks very medieval, but doesn't fit as well with my Renaissance Puritan. I still plan on using this belt for some time to come! This belt is great because of the option for the long version of the belt. It fits great and the extra length wraps up nicely for a cool look.